Nathan Kontny I like to make stuff on computers. CEO of Highrise and maker of Draft. A few weeks ago, two seemingly unrelated events took over our news feeds - Sad Affleck and the "left-pad" fiasco. Well, left-pad's developer, Azer Koçulu, was upset by a trademark dispute with another company, so he decided to pull all the modules he had made from npm. Not a big deal if no one besides you uses those modules. But left-pad is depended on by many apps and developers. And when it disappeared, it crippled apps all over the web. These two events don't look related, but what they share in common is more important than most of the lessons I've seen taken from them so far. This was a piece of software we built to help make our activity feeds more user friendly. But I also saw it as something we could spend a few hours polishing up into a open source script. But, Snapback Cache turned out to be my most trafficked blog posts in all of March with tens of thousands of readers. It's generated some very nice new attention to Highrise - a very high return for a tiny investment. 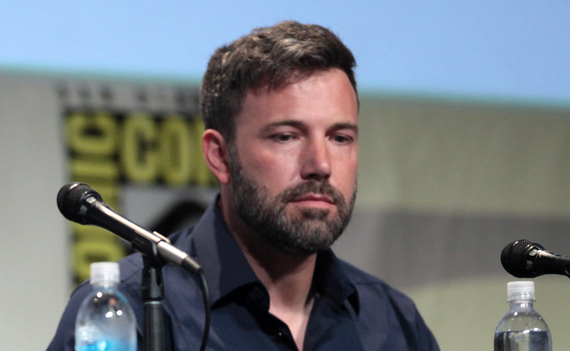 "Sad Affleck" looks like it took only a few hours to produce as well. But a few hours turned into millions of viewers. Their next video was another riff on the same Affleck interview, and it racked up almost 74,000 views. Not the same impact, but a nice spillover. But I think the more important thing we can take away is that left-pad is downloaded 25 million times... A MONTH! I doubt Koçulu, could have predicted the impact his module was going to have on the web when he put in the little bit of time open sourcing a simple method. And I couldn't predict the success we were going to have with Snapback Cache. But the great thing is, we don't have to. For such a small investment of time, we can afford to publish hundreds of things and maybe some of them will add real value (or entertainment). There are big things of course that we want to make. The Batman vs. Superman movie itself took years and 250 million dollars to produce. But everything doesn't always have to be so big. We can produce small things that can often have a huge amount of impact. Keep publishing simple lessons you've learned. Don't feel like you need to predict their success. Don't feel like you need to spend inordinate amount of time polishing everything you put out there to the public. Even 11 lines of code can be something incredibly useful to so many people. P.S. It would be awesome to meet you on Twitter, and check out the things, big and small, we're up to with Highrise.